Westchester Rotarians are getting their hammers and drills ready. From February 28 to March 3, 2019, our club is renovating the beloved and historic Westchester Townhouse. Westchester Townhouse, that quaint club house next to Kentwood Elementary on Emerson Avenue, was built in 1945 and has served the youth in our community for over seventy years. 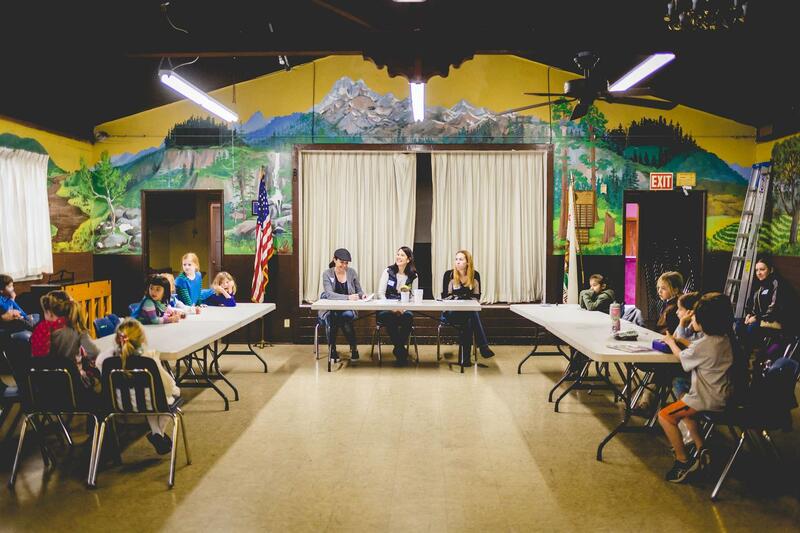 The Townhouse serves as a vital meeting space for several youth groups in Westchester, including the Girl Scouts, Boy Scouts, American Heritage Girls and Music West. Many parents and long-time Westchester residents may recall the charming feel of the Westchester Townhouse. Perhaps the most iconic feature of the space is the rustic landscape mural, painted by an Eagle Scout in 1975. After forty years, the mural’s age is beginning to show. Otis College of Art and Design professor David Russell will be restoring the mural and bringing it back to its former glory. New doors, windows, flooring, and a few extra surprises are also in store. An important aspect of the makeover is making the space wheelchair accessible so that children and adults of all abilities can easily access the Townhouse. Thanks to the generous support from the Westchester Rotary Foundation, Drollinger Family Charitable Foundation, William H. Hannon Foundation, Westchester Woman’s Club, and the Westwood Village Rotary Club, our club is very excited for the Makeover Project at Westchester Townhouse. We invite our neighbors and community partners to join us February 28-March 3, 2019 for our volunteer weekend. Sign up for volunteer shifts here. We look forward to transforming the Westchester Townhouse!